In cooking, an ice bath is used to quickly cool or chill foods. It's particularly used for vegetables boiled in water (blanching), eggs cooked in their shell, or custards. When the food (such as vegetables) is placed directly in the ice water, it's called shocking. At times, you will want to chill hot food quickly, such as soups or stock, before storing them. A rapid reduction of temperature prevents the food from being in the danger zone for too long, where bacteria would have a chance to multiply. To prepare an ice bath, fill a large bowl with ice and cold water shortly before you'll need it. You don't want to do it too far in advance so that the ice doesn't have a chance to melt too much. A metal container will chill faster than glass or plastic, so if you have a choice, choose metal. You can use ice cubes or crushed ice. The amount of water that you use should be enough so the ice cubes or flakes do not stick together in a mass, and will flow around the container you will place in the bath. If you're using it to cool a sauce or custard that's in a saucepan or a mixing bowl, make sure that the bowl used for the ice bath is large enough for the vessel to nest, without ice cubes getting jammed between the two vessels. Also don't fill it so much with ice water that the water will overflow when the vessel containing the food is put into the ice bath. You want to ensure that you have enough space for the ice water to flow around the vessel and cool it from the sides as well as the bottom. As the ice melts, the level of the ice water may drop, and you should be prepared to add more ice and water to keep it at the desired level. If you are shocking cooked vegetables or other small pieces of food in the ice bath, use a slotted spoon or a spider to transfer the food from the simmering water to the ice bath, as well as to remove it from the ice bath when it's sufficiently cooled. 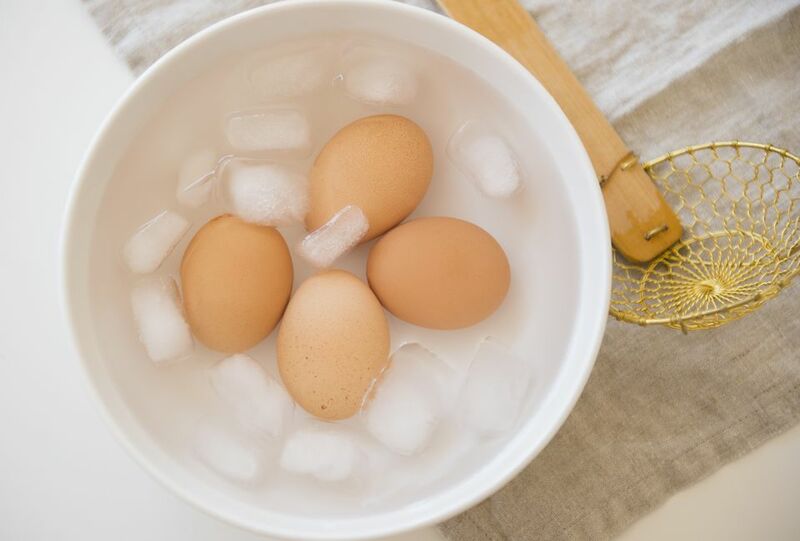 If you're shocking small pieces of food like vegetables, you can nest a colander into the ice bath so that can easily remove the food from the ice bath without having to pick out pieces of ice from the food. Should You Use Salt in Your Ice Bath? Adding a few tablespoons of salt to the ice bath will cause the temperature of the ice-water mixture to drop and the ice to take longer to melt. Add the salt only if you're using the ice bath to cool food that's in a pan or bowl, such as a sauce, rather than food that will be in direct contact with the water.